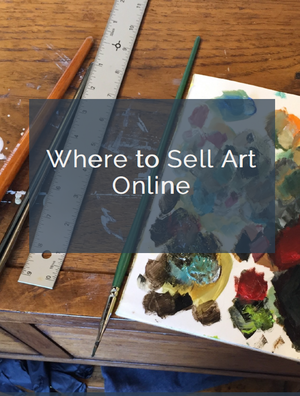 This post is reprinted from The Arts Business Institute blog. Patti Dowse is the owner of Erda Leather in Cambridge, Maine, which produces leather and fabric purses and accessories for women. With forty years in the business, she has a knack for marketing and has used several creative techniques to open many new wholesale accounts. Over the years, Patti has made a number of observations and been able to take advantage of them. Although she has hired several successful sales reps, she has found that many times reps haven’t been able to sell her work as effectively as she can. Patti has sales experience at wholesale and retail shows, and occasionally accompanies reps on the road to speak with store buyers. Patti has also become aware that her fabric and leather purses sell well alongside other complementary products, such as certain clothing lines. She’s made a point to visit the websites of those companies, and take a look at their retail store list – which then becomes a prospect list for her. Patti can easily use the success and compatibility of her Erda line as a selling feature when approaching those stores. This works especially well because she is not attempting to replace another line in the store, but is suggesting an additional line which has a history of appealing to customers who buy the clothing. She has coined a term for this tactic, calling it companion marketing. Entrepreneurs who understand the concept can choose to work together with other businesses that don’t compete, but make lines which would appeal to the same customer. They can act to further both of their businesses by forming a strategic alliance to effectively double their exposure. Each partner helps to cross-promote the other by referral to their customer base in email newsletters, on a website, in literature accompanying a shipped order, etc. Patti took her activities to the next level by combining techniques. She didn’t have a strategic partner, but decided to do some targeted marketing and get on the road acting as her own sales rep. She and her sister knew that their typical customer was much like themselves, who would be likely to purchase a unique handbag while on vacation. They chose the vacation destination of Northern California and Oregon to test their theory. They went online to mine the retail store lists of the clothing lines that Erda is compatible with in those geographic areas. If a list wasn’t posted online, then a phone call to the companies would produce suggestions of retailers in the chosen area. They made phone calls to the resulting prospect list with the news that they would be in the area with samples of their work which sold well to the same type of customers who bought current lines in those stores. Appointments were scheduled. How could you use some or all of these strategies in promoting and selling your own handmade line?